Did the kids have an accident or did the cat use your mattress as a litter box again? Clear The Air eliminates foul mattress odors and can eliminate harmful odors you can breathe in when you sleep. Take all your bedding off your mattress, including your mattress cover. Wash all your bedding. Sprinkle Clear The Air Carpet/Furniture Odor Eliminator on your mattress where you smell the odor the strongest. Leave the product on your mattress for up to 24 hours. Vacuum product up from your mattress. Odor will be eliminated! If some odor still exists, apply a second application to your mattress. Return your clean bedding to your mattress and enjoy a peaceful, odorless night’s sleep! Do you have questions about how to use our product? Contact our customer service department to answer all your odor issue questions! 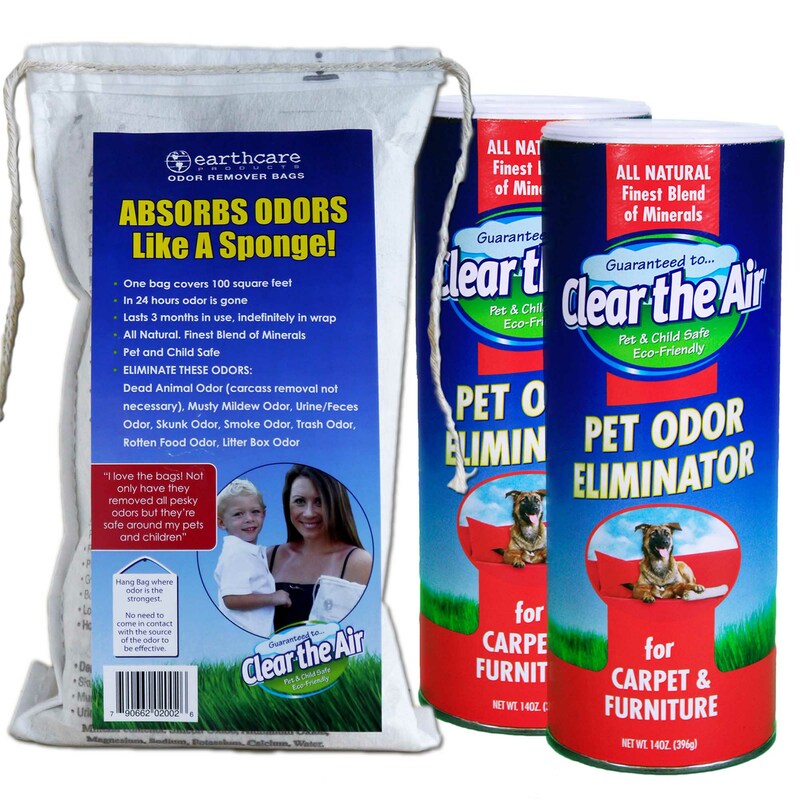 Earth Care Products “Clear The Air” can be used to eliminate odors by simply placing a bag near the odor, or by sprinkling granules over or near the soiled areas. The great news is, Earth Care’s Clear The Air does not have to come into contact with the odor producer; it will pull the odors from the entire room. Earth Care Products are ingredients are negatively charged and odiferous gasses ride on positively charged particles. Because of this negative and positive attraction Earth Care draws in odors like a powerful magnet. The odors are adsorbed and neutralized without any cover ups or fragrances. The molecular structure of Earth Care consists of billions of microscopic pores, which gives it a large surface area (exceeding the size of a football field). 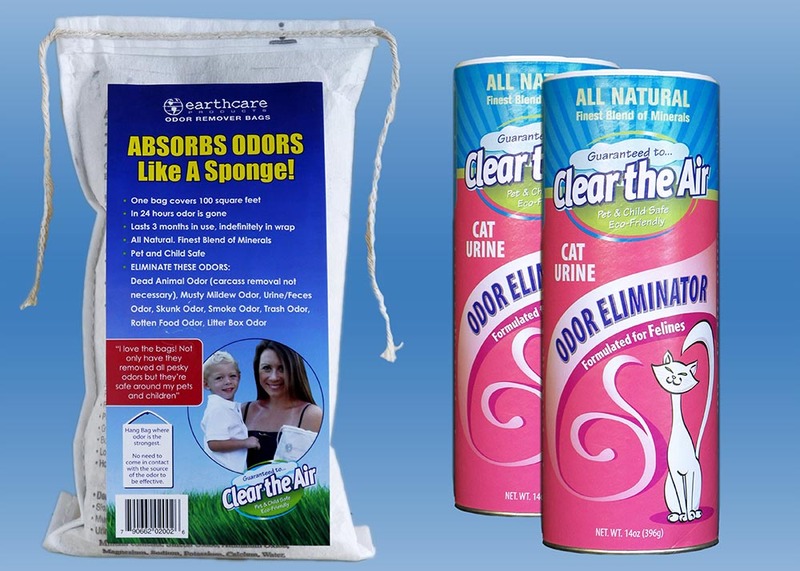 This enables Earth Care to adsorb phenomenal amounts of odors!! Earth Care does not cover up odors it literally clears the air, leaving the air fresh and clean with no odors or fragrances left behind. Many of the odor and pollution control products on the market today act merely as masking agents. This means they add chemicals to the air to cover up odors and actually increase the level of indoor pollutants in the process. 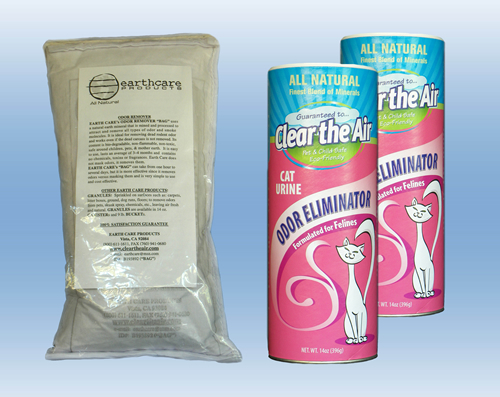 Earth Care, on the other hand, truly eliminates odors and cleans the air by adsorbing and neutralizing odors. Earth Care Products are especially beneficial to those that suffer from chemical sensitivity which can be aggravated by fragrances.